Ambition is the lifeblood of SMEs. These businesses, built upon a vibrant combination of passion, determination and a desire to succeed, are constantly blazing new trails formed from powerful ambitions. 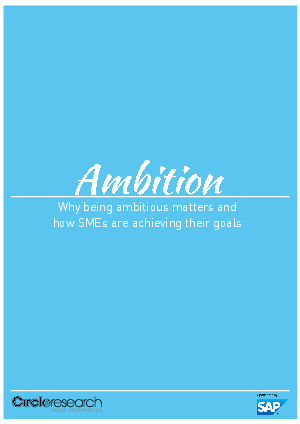 Download this paper now to discover why being ambitious matters and how SMEs are achieving their goals.